Its 18 holes, 5,714 m. par 71 course, designed by renowned architect Antonio Garcia Garrido, is characterized by careful landscaping, with lots of different species of trees and beautiful views of the Mediterranean Sea. The Greenes are generously sized, the streets are narrower on the front nine, where more precision is required in the second. Bunkers white soapstone. The roads are sown with Bermuda, except on certain holes where grass, while the greens and tees are used penncross. 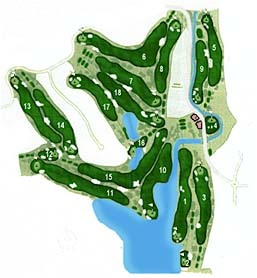 Flamingos Golf has hosted prestigious tournaments such as the end of the European Seniors 2002, 2003, 2004 and 2010 Women’s Open in Spain. With access to T 1 are the CANTINA FLAMINGOS GOLF (Snack Bar), specializing in sandwiches and light menus to whet the appetite of players and companions. 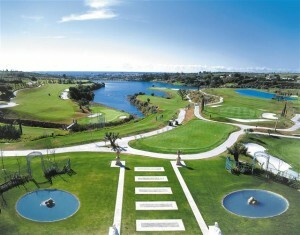 The Golf Academy led by the winner of the U.S. Open 2005, Michael Campbell, is nestled in the unique set of Resort Villa Padierna and surrounded by three of the most prestigious golf courses in the area: Flamingos, Alferini and Tramores.